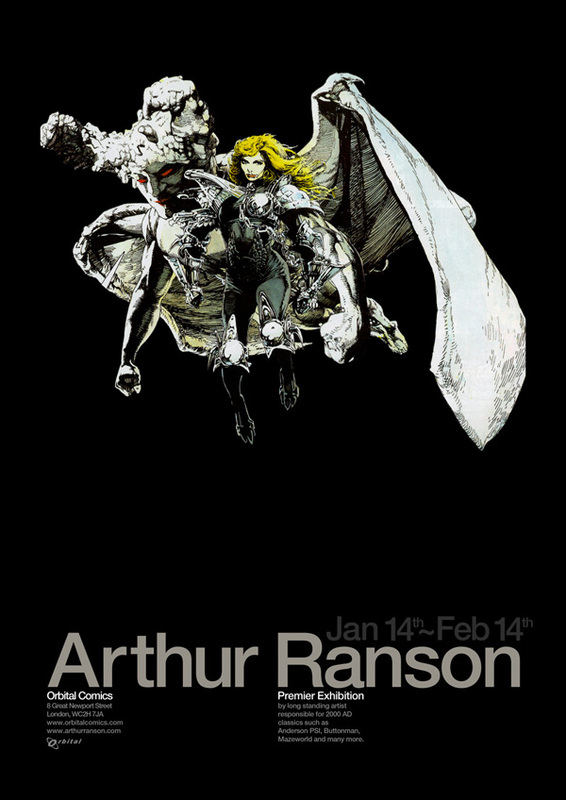 British comics legend Arthur Ranson is exhibiting at Orbital Comics in London for one month from tomorrow. I met him a few times when I was starting out. Lovely bloke. And a brilliant illustrator. I hear from an insider there’ll be a private view there tomorrow from 8pm where Arthur will be signing posters etc. Not to mention there’ll be drinks on the house too. Thanks for the heads up. I’ll be there, Ranson has a fine body of work, Button Man and Anderson, Psi Division for 2000ad would be high on my personal list, but he did a fair spot of stuff for Look-In way back in the day. It’d be nice to see and Mr Ranson deserves this kind of recognition. Last I heard he had to pass on the fourth book of Button Man (Fraser Irving did a fine job, but it’s not the same) due to health issues. If he made the signing mentioned above, I’m hoping he’s improved somewhat. Yet again I die inside a little more that I’m not currently living in the UK. HUGE Ranson fan. Wish I could go.